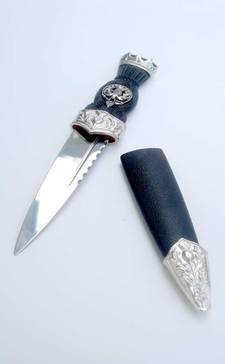 A sgian dubhs (or skian dhu, skeen doo or scian dubh) is worn semi-concealed in the hose on the right side of the right leg. 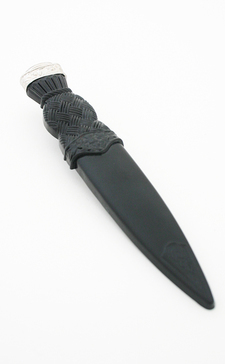 All of our models come complete with a real blade unless specified otherwise. 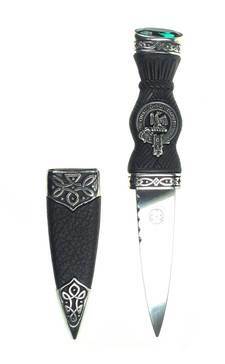 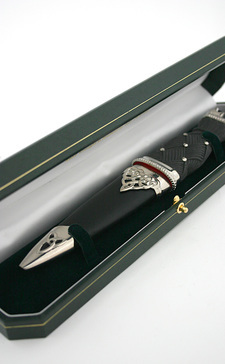 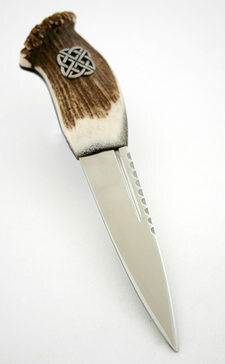 We also have imitation sgian dubhs available for children and for events where blades are prohibited.